﻿ Best Price on Apartment Espoir in Ciceron + Reviews! 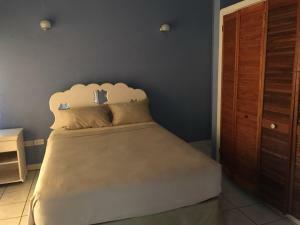 Located in Castries, Apartment Espoir offers accommodations with a terrace or a balcony, free WiFi and flat-screen TV, as well as an outdoor swimming pool and barbecue facilities. All units come with a microwave, toaster, a coffee machine, a fridge and electric tea pot. There's also a kitchen in some of the units equipped with a dishwasher and oven. A car rental service is available at the condo hotel. The nearest airport is George F. L. Charles Airport, 3.8 miles from Apartment Espoir.